From the Elmvale area, George Allen's series of "Chapters' Books" brought together many local stories and photos of varying topics. George has given his permission to have his book "Chapters 2003-The Sports Stories" accessed through this website. Springwater Sports Heritage is very grateful and appreciative of George’s exceptional endeavour, creativity and benevolence. This is a compilation of sports stories, some from previous books and some entirely new. It is a celebration of team triumphs, a salute to some outstanding individuals and a chance to meet some of the people who worked behind the scenes to provide opportunities for children and adults. 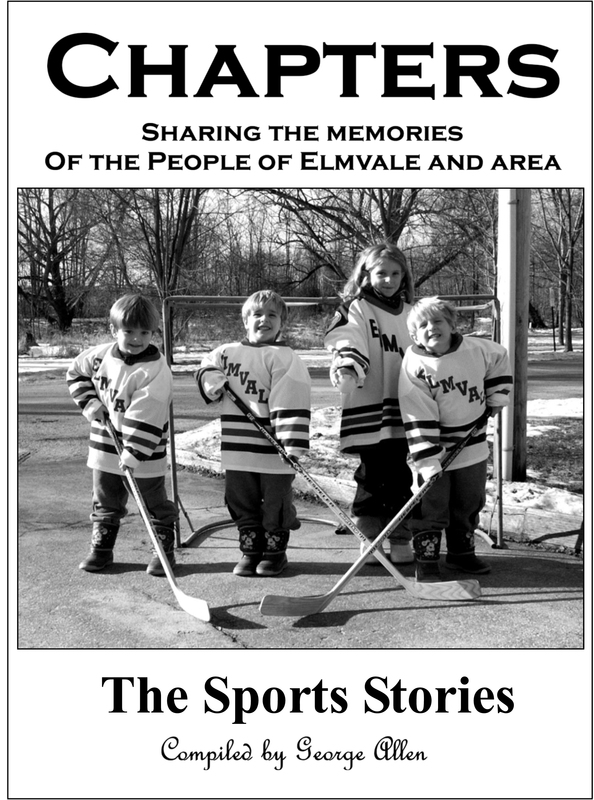 This book is a tribute to all those who left their mark in sports in Elmvale. It will serve as a rather imperfect "Sports Hall of Fame' until it is replaced by the 'real thing'.